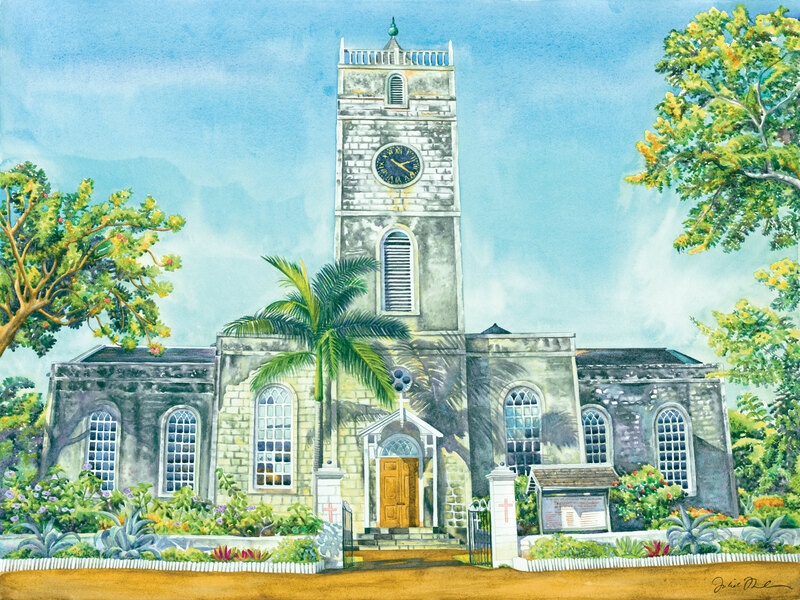 I had so often admired this church while passing it on my way from Kingston to Montego Bay as it stood so tall and proud in the town of Falmouth. I knew I would eventually be painting it and what I really liked in particular while working on it were the shadows of the trees on the buildings that played along with the grey stonework. This edifice and how it is situated gives me such a good feeling and I hope that you the viewer can feel some of that too! This is a limited edition of 50 giclée prints on watercolor paper. The original painting has not been sold.